Easy application process for parents to secure a place for their children before they migrate for work. Based in Muscat, Oman, the PDO School is open to 3-11 year old children of expatriate parents working for the Petroleum Development Oman (PDO) and Shell. Throughout the year, Shell staff migrate from all over the world to work on the oil fields. Before moving they need to apply and secure a places for their children at the newly purpose built PDO School just on the outskirts of Oman. Like many other schools, the PDO School admissions process was based on a custom workflow that addressed their unique circumstances. However this paper based process was riddled with complexities and repetitive manual processes that resulted in lengthy administrative hours and intermittent status updates to anxious parents, keen to know the status of their child’s application. It was no hidden secret that a standard, off the shelf admissions software would not be enough for the school. 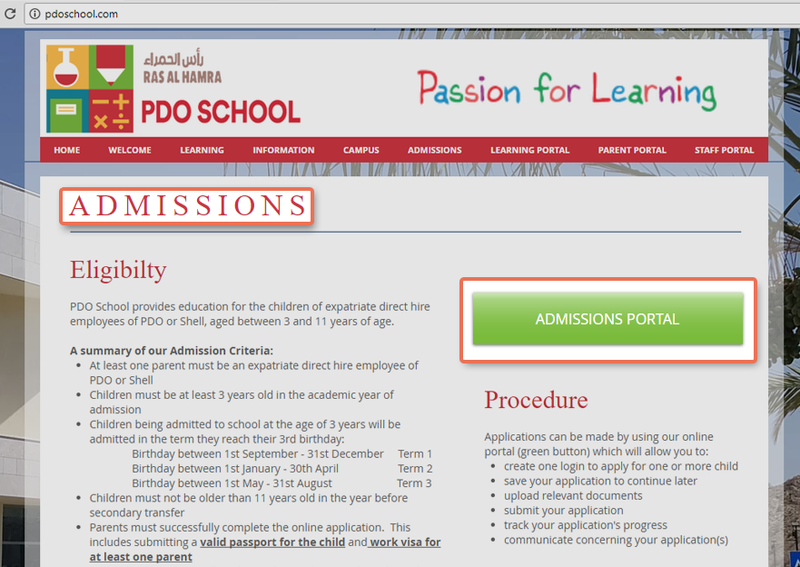 For PDO School, the requirement for an industry specific admissions platform at the right cost was paramount. Having such a complex admissions process meant the solution also needed to be flexible enough to handle their unique needs all in the same platform. Finally, it was vital the system allowed onward integration with the School's third party software providers including SIMS Management Information Systems from Capita. HEIapply proved to be a strong contender, providing a modern, trusted, cloud based solution specifically designed to handle complex admissions routes as well as handle well known traditional admissions processes. HEIapply provides the ability for PDO School to completely customise and mould the applicant journey, provide those applying with the best experience possible. The web-based admissions platform is of great affordability and quick turnaround. Within weeks of our business development manager delivering an onsite demo to the core management team, works commenced.